It's Hip 2 Serve! 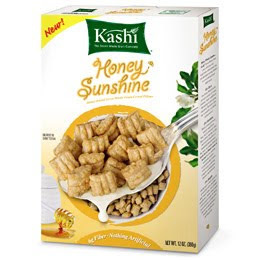 : FREE Sample Kashi Cereal! Click here to receive a FREE sample of one of 3 Kashi Cereals: Honey Sunshine (honey sweet pillows with a whole grain crunch), Heart to Heart (crispy, toasted oat flakes with wild blueberry clusters) or Go Lean Crunch (toasty grains, golden honey and crunchy almonds). Samples contain approximately one serving size; limited quantities available. If inventory of cereal should deplete before fulfillment a coupon may be sent in its place. Allow 4-6 weeks for delivery. *Note: It appears that this offer may only work for new members of the Kashi Community.